In “God, Guns, Grits and Gravy,” the most recent book by presidential wannabe Mike Huckabee, the pundit-author posits a country of opposing camps: Bubba-villes and Bubble-villes. The Bubba-villes are where you’ll find the author’s favorite things—like God, guns, grits and gravy—and the Bubble-villes are big cities—specifically NYC, DC and Hollywood—populated by left-leaning pointy-headed intellectual power-brokers. Chicago might likely qualify. As the name implies, dwellers in bubbles are disconnected from “reality” as defined by Comrade Huckabee. It’s in the cities, of course, that people are most likely to be yanked out of their bubbles, confronted by otherness, compelled to deal with those people who don’t share their own inevitably limited perspectives. Sue: We’re having a barbecue; you want to come over? Walt: What do you think? Sue: There’s tons of food! Walt: Yeah, just keep your hands off my dog. Sue: No worries, we only eat cats. Sue: No, I’m kidding, you moron! C’mon, you can be my special guest. Kowalski does go to lunch at Sue’s house, and he likes what he tastes. Food bridges that cultural divide. Tasting the food of different cultures is the best way to open your mind by opening your mouth to flavors you’ve never had before… maybe flavors you’d never dreamed you might have. In early 2004, a group of food enthusiasts who met on Chowhound.com went to a small, now-vanished restaurant in Chicago’s Chinatown that specialized in the food of the Chinese province of Mukden, a city in Northeast China. I went along, and it was this meal that broke my bubble, that opened me most dramatically to the world of food. The food of Mukden, as prepared that night, included a soup of fish skin: not meat, not bones, just skin, slimy and slippery, tasting of fish, slightly bitter and sour and so unlike anything I’d eaten before. I didn’t like it at all, and I hope I am never served it again, but I was so glad to eat it because it so totally blew my mind that such food could be favored by anyone. Perhaps I got off easy. Other Mukden specialties include camel’s hump, ape’s lips and monkey’s brains. No kidding. To be exposed to otherness by eating the foods of other cultures seems to make one more open to different ways of living life. Living in a big city like Chicago, far from living in a bubble, is more like living in the town square of the global village. The best way to meet other villagers is to visit one of the many ethnic restaurants that exist because the city attracts so many people from all over. Here’s a list of some cool, far from mainstream places to eat in Chicago, where you can sample foods from cultures you may know very little about. 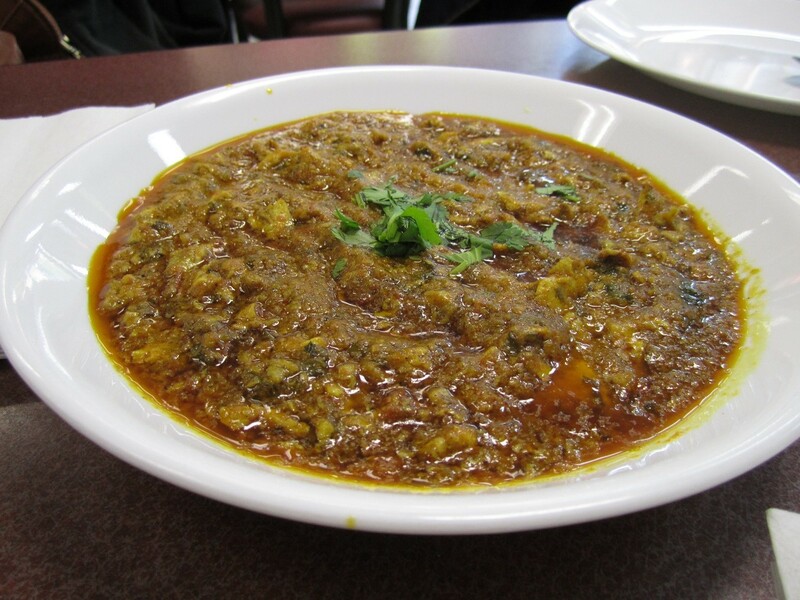 Shan Foods (5060 North Sheridan) is especially popular among Pakistani taxi drivers. If you’ve never enjoyed eating brains, this place could change your mind about head food: crumbly and slightly custardy with excellent spicing, the sheep’s brains are what I order here. Vee Vee’s African Restaurant (6232 North Broadway) is a high-value destination that invites exploration. Goat is our favorite, and it shows up in soups, stews and as an entire head. Goat is the most widely consumed meat on Earth, and if you haven’t tried it yet, you really should get with the rest of the planet. Taste of Brasil (906 South Oak Park Avenue, Oak Park) is a small, family-owned Brazilian restaurant, specializing in homey meals, entirely unlike the meat orgies offered at places like Fogo de Chao. 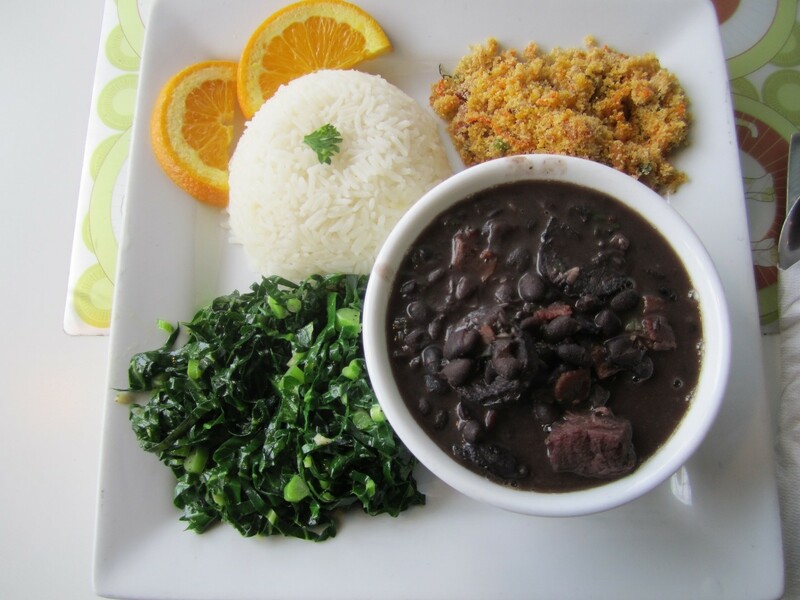 For this time of year, you need to get to know feijoada, a superb black bean and sausage stew. Never had it? Do. Need encouragement? Watch my video on the topic below. Fortunately, in a so-called Bubble-ville like ours, there are a lot of other cultures to taste, a lot of otherness to eat.